It's Leonard's birthday, and no one knows it. So today, he has some presents he's giving away to everyone who's made an impact on his life. One is to Linda, his mother, who is never home and takes care of her life more than her son's. 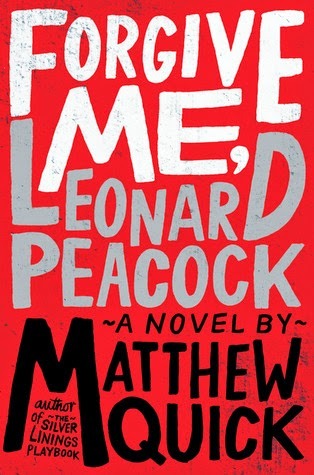 Another is for Walt, an elderly neighbor in love with cigarettes and Humphrey Bogart and quite possibly is Leonard's best friend. He also has a present for the most brilliant violinist Leonard's ever heard, an Iranian student named Baback, who allows Leonard in when he practices. He plans on giving one to Lauren, the girl who stole his heart while handing out religious tracts near the subway. Herr Silverman, Leonard's favorite teacher who stymies him with the reason why he dresses the way he does and is the one encourager in his life, will also get a present But it's Asher Beal, Leonard's once best friend, who will get the biggest and baddest present...he deserves it for how he treats Leonard every day at school. It's what's in those presents, both bad and good, reflecting why Leonard is making this his last day on earth. "Sticks and stones may break my bones, but words will never hurt me." 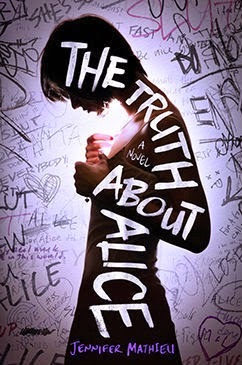 This can be farther than the truth for Alice, especially after a party she attends. Elaine begins the story, telling everyone who will listen to her what she KNOWS Alice did in a bedroom that night. And once the news gets out, it goes viral, sending Alice from someone everyone knew and liked to the pariah of high school. Kelsie also tells her story about her move from Michigan and how she became best friends with Alice but is now conflicted between defending Alice's reputation or being part of the machine. Josh is dealing with how he became a part of this ugly situation the night his best friend Brandon died. He knows the truth, and it's eating him up from the inside out. Then there's Kurt, who is highly intelligent but lacks social graces. He sees Alice crying on the bleachers and slowly and tentatively reaches out to her, but with all that has happened, is he being true or wanting what others have talked about her doing? I just finished this one this afternoon. Heartbreaking and real. I'm going to recommend it to my school social worker to use with her boys and girl groups when they take on the tough subjects addressed in this book.